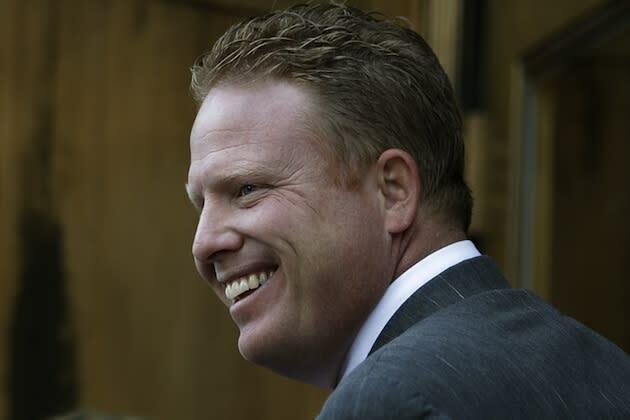 A Utah businessman known locally for his good deeds is being accused of masterminding a massive Internet fraud. According to a recent profile in The New York Times, heroic acts like rescuing lost hikers and piloting his own helicopter to deliver relief supplies to earthquake victims in Haiti may have been funded on the backs of defrauded customers from his business. The Federal Trade Commission has accused Jeremy Johnson of “one of the largest and most intricate online marketing frauds ever perpetrated in the United States,” according to the Times. The Times reports that the now-defunct company, I Works, promised to help members apply for government grants. The company allegedly lured in customers with the promise of easy money and risk-free guarantees, and it then would continue to charge the credit cards of “unwitting consumers” for pricey monthly subscription fees. Through this scheme, charges the FTC, Johnson amassed a fortune of $275 million. While the system of ongoing fees is not necessarily illegal, the government has charged that Johnson’s company failed to disclose the monthly fees or give customers a window of time to opt out of the subscription services. For his part, the 6-foot-tall, red-haired Johnson vigorously disputes the accusations. "They are absolutely not true," Johnson said of the allegations to the Salt Lake Tribune in 2010. "I never charged any consumer for anything without their consent." Meanwhile, according to the Times, the rolling fees helped fund a lavish lifestyle “of helicopters and houseboats, classic cars and poker at a Las Vegas casino." The company first came under scrutiny after hundreds of thousands of customers began to seek credit for unauthorized charges. Visa and MasterCard ended many of the company’s accounts and fined I Works. The Salt Lake Tribune reports the company allegedly had to set up 80 “shell accounts” to accept payments without being detected. "They had no employees, they had no office locations, they were mail drops," Collot Guerard, the lead FTC attorney on the lawsuit, told the Tribune. "They were essentially fronts, and they didn't have any substance to them other than lending their name to obtain a new merchant account when Jeremy Johnson and I Works were no longer able to get merchant accounts."